The Georgia coast provides countless options for beach vacations. The state's barrier islands, known as the Golden Isles, offer a variety of compelling experiences to enjoy during your trip. 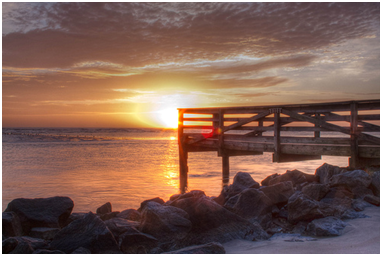 Choose Tybee Island for a romantic getaway. Stay at the cozy Mermaid Cottages or the secluded Tybee Island Inn Bed and Breakfast. Relax on the beach or stroll along the nature trails. Hike or bike along the meandering McQueen's Trail along Route 80. You don't need a car to see Tybee Island, as it's less than 3 miles long. If you prefer water sports, take a ride on a tandem Jet Ski or try standup paddle boarding. Rent a kayak to enjoy bird-watching as you glide along the water. End your beach day with a romantic stroll along the Tybee Island Pier and Pavilion. Tybee Island also hosts interactive events during the year, including Mardi Gras celebrations, a wine festival, and holiday festivities. Known as Savannah's beach, Tybee Island is just a 5-mile drive to the city and its vibrant nightlife. History buffs can take a day trip to explore Savannah's landmark district, museums, and mansions. Families will enjoy a beach vacation on Jekyll Island. Head to Jekyll Island Beach for a day of swimming and sunbathing. You'll find plenty of trails for walking and bike riding, too. Children will love learning about local wildlife and sea creatures. Watch how caretakers rehabilitate injured sea turtles at the Georgia Sea Turtle Center. Check out the touch tanks and aquariums full of crabs, fish, and shrimp at the 4-H Tidelands Nature Center. Stay along Beach view Drive North for convenient access to beaches and restaurants, and book your Jekyll Island hotel via Hotel Planner. Nearby, you'll find upscale restaurants offering delicious local seafood, and many have waterfront decks and patios, too. You'll also find casual eateries like Tortuga Jacks and The Pantry. Before you end your trip, step back in time and explore the rich history of Jekyll Island. During the Gilded Age, several wealthy families privately owned the island. Tour the historic district and the Jekyll Island Resort. You can walk or hop on a trolley tour to see cottages and restored mansions. 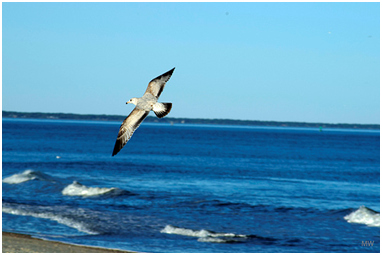 St. Simons Island is a beach vacation destination for nature lovers. If your kids enjoy the beach, you can bring the whole family here. Note that there aren't a lot of attractions for young children, but couples will enjoy the slow pace and the laid-back vibe on St. Simons Island. The marshes create a fertile environment for fish, crab, and shrimp. There's no shortage of fresh seafood at local restaurants, and foodies will also love sampling a variety of cuisines, including Mexican and Italian. Try traditional Southern fare and barbecue, too. Eateries range from casual cafés to elegant locations with waterfront views. Georgia's Golden Isles offer beach vacations for couples and families alike. Pick your destination to enjoy a relaxing trip, or visit an island with plenty of attractions and activities.